You have perhaps heard the story of the giant eyeball that washed ashore in Pompano Beach, Florida earlier this week. I'm a sucker for big blue eye. 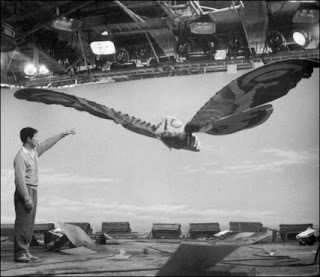 And yeah, OK, as eyeballs go, that's pretty large. But "giant"? I was brought up on cheesy horror movies. I have a different standard for oversize natural objects. I said as much on the Facebook page of my fellow blogger Jen over at Jeneral Insanity. Which you should check out because it turns out she's kind of freaking crazy in an awesome way. In much the same way that, say, this is. Anyway, I wished aloud that I could draw, so I could create an artist's rendering of what a giant eyeball should look like. 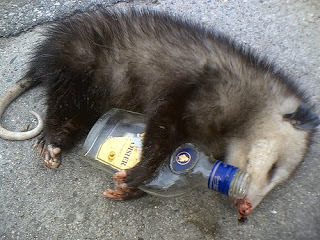 And then I realized: This is the Internet. Talent is optional. 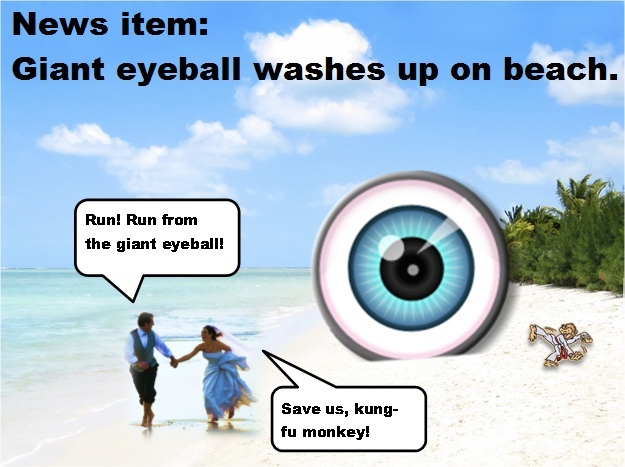 So I dug into my clipart collection and used my extremely rudimentary graphic manipulation skills - I mean "skills" - to illustrate what passes in my mind for eyeballtasticness. The monkey is because the Jeneral and I both like monkeys. 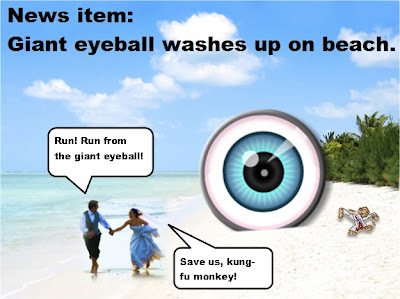 And because it's unwise to assume the giant eyeball doesn't want to kill us all. If you don't understand something it's best to unleash kung-fu on it. Thank you, Internet, for giving us the freedom to believe we can do anything we totally can't do. 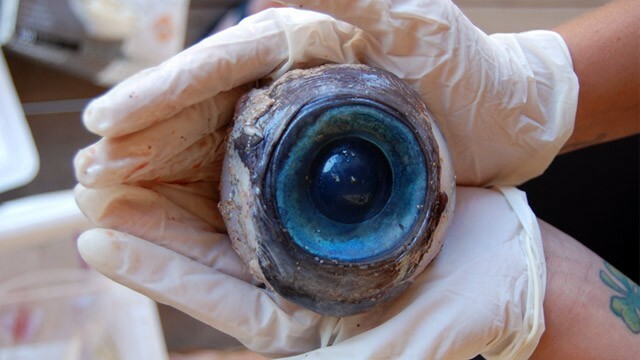 Be on the lookout for giant eyeballs. See what I did there? Okay... You should have warned me first. I really almost just peed my pants! Kung-fu really is the first/best/only option.